Cloud-First Does Not Mean Cloud Only — Add Colocation for Balance. 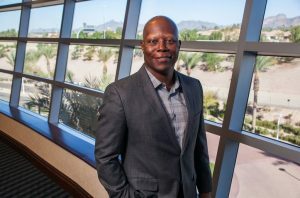 In this week’s Voices of the Industry column, Rick Crutchley, Chief Operating Officer at IO, now Iron Mountain, shares how organizations can benefit from a hybrid cloud IT strategy that features colocation. According to Rightscale’s State of the Cloud report, the average organization uses two or more public clouds and two or more private clouds. It is safe to say, cloud as a trend has moved far past the toe-dip to a more strategic use case – workload segmentation based on what cloud platform best serves the specific requirement. While this provides a multitude of cloud-specific benefits, it is also presenting a rapidly changing management challenge that is integration. For organizations in existence prior to mass cloud adoption, born of cloud was not an option. Legions of developers and changing IT leadership have delivered a diverse mix of applications and infrastructure – many without proper documentation – to the desk of today’s cloud-first tech teams. Legacy or custom-built applications can be critical to business continuity and are often difficult to migrate to the cloud. Furthermore, successfully identifying the workloads you want to migrate to the cloud does not mean they will get there overnight. Cloud migration takes time, planning and preparation. How does colocation fit into this conversation? Hybrid IT architectures with colo as the foundation increase efficiency, lower costs, and mitigate risks when compared to environments with only in-house data centers. Cloud environments use significant computing power, and this can put stress on networks to accommodate shifting demands and data transfer. A recent study by Infonetics Research found that more than half of respondents needed additional network capacity from new telecommunications providers to enable cloud-first IT services delivery. While not a new concept, most colocation providers are carrier-neutral, meaning they are built to provide you with choice when it comes to network service providers. A simple cross connect gives you access to hundreds of options, helping you better negotiate pricing and streamline architectures with a stable, centralized interconnection point. The same can be said of cloud provider access. Colocation facilities are also cloud-neutral in most cases with direct connect to hyperscale providers available on-site, via a cloud exchange (SDN), or using a regional cross connect. Colocation is the most logical venue for hybrid IT as providers also offer a wide-range of on-demand data center services and ecosystems that include in-market personnel for almost any resource gap. In-house data centers do not offer the carrier diversity, efficient cloud access, and services ecosystem and as a result are less efficient. Pay-as-You-Go (PAYG) Saves You Money. This Works for Cloud and Colocation. Cloud elasticity and PAYG pricing made for a compelling infrastructure option and disruptor to traditional IT. For similar reasons, colocation is a more cost-efficient option when compared to the in-house data center. Instead of making a long-term bet on an extremely expensive, power-hungry piece of corporate-controlled real estate, colocation allows IT departments to lease what they need now (space, power, and cooling) and adjust according to market/end-user demand – up or down. Moving workloads to the cloud according to a prioritized 3-year schedule? Deploy the underlying infrastructure in a colocation facility. This gets the workloads closer to the cloud/s they will be moving to and enables you to give back the capacity used to power them once the migration is complete. Other cost efficiencies include reduced energy waste/spend thanks to highly energy efficient colocation data centers operating at peak performance. Three of the top 10 EPA Green Power Partners in the Tech and Telecom space are data center providers (Equinix, Digital Realty Trust, and Iron Mountain). In certain markets colocation providers may also pass through tax and government-based economic incentives, further reducing operational expense. Data center services may be ordered on-demand, 24-hours-a-day to address needs as they arise. This frees up your full-time employees to focus on other, value-adding responsibilities. And, as mentioned earlier, more carrier and cloud provider choice means more negotiating power when it comes to paying for connectivity services. Colocation centralizes connections to your multiple cloud providers. 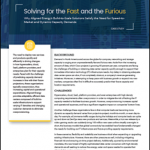 Reduce Risk with Reduced Complexity, Increased Physical Security. The digital world is a risky place. With so many threats to prepare for that arise from situations beyond your control – man-made security threats and natural disasters – reducing risks within the confines of what you can control is important. Complexity can be a risk. Architecting a multi-cloud environment from your office building, for most companies, means having to choose between public Internet-based cloud access or establishing individual private, point-to-point connections to cloud providers using the carriers available on-site. The public Internet is a congested place, lacking in network security and enterprise-grade availability. Individual private connections not only increase costs, but add new potential points of failure as well as more routes to monitor for QoS, security, and other factors. The less carriers you have at your building, the less pricing flexibility you have. The more carriers you use, the more vendors you have to manage. Colocation centralizes connections to your multiple cloud providers. In many cases, you can connect directly to on-site providers. In others, there are software-defined networking options like a cloud exchange that allow you to connect to the exchange and access multiple providers with one cross-connect. 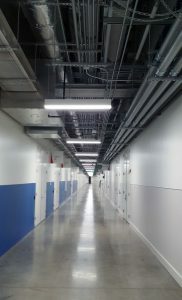 And, if you want to build a dedicated pipe to a specific provider, chances are a colocation facility will provide a wide range of connectivity options to make this work in a safe, cost-effective manner. Outside of simplifying network architecture, colocation also reduces risk by adding layers of physical security not found at most in-house data centers combined with a full staff of vetted on-site security officers who monitor the entire campus 24-hours a day. What is the security situation at your data center? It is not uncommon for in-house data centers to be located behind a key card access-controlled door in a hallway accessible by most employees or vendors servicing the office. 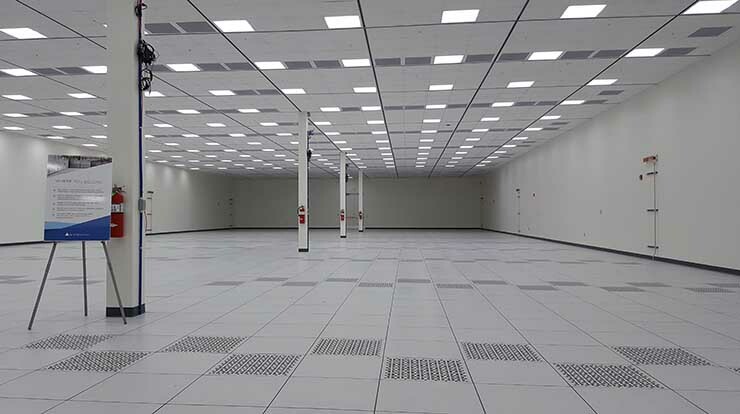 With a colocation facility, the data center is first and foremost offsite. If somehow a disgruntled employee or malicious human threat makes it to the colocation facility, they would have to pass a multitude of security features just to get to the computer rooms where your infrastructure resides. This includes a manned and gated campus entry, 3-factor access controls equipped with biometric scanners, mantraps to prevent against tailgating, hundreds of CCTV cameras, and other features. Finally, many colocation providers focus on data center compliance to ensure third party validation of their people, products, and processes. This compliance framework can be extended to support the compliance and audit program for your organization, reducing risk and increasing the efficiency and effectiveness of your regulatory program. Peanut Butter and Jelly, Meet Cloud and Colocation. They Just Go Together. According to analyst reports, the majority of data centers are still in house. However, every year this number continues to gradually decline. One of the reasons is cloud. If you are willing to outsource your infrastructure to a third party and then put your sensitive data on that infrastructure, chances are your view on outsourcing your data center may be changing as well. If you are able to prepare a workload for migration to the cloud, are you not able to migrate your physical hardware from one data center to another? Colocation providers are focused on enabling cloud environments for their customers and keeping an eye on new service providers that arise and add value to the ecosystem. Give yourself the flexibility of a data center environment that is agile like the multi-cloud IT environment you are building. Choose colocation and enable your IT to move forward at the speed of cloud. Rick Crutchley is IO’s Chief Operating Officer and is responsible for developing, managing and executing the company’s sales & operations strategy. IO was acquired by Iron Mountain in January of 2018.